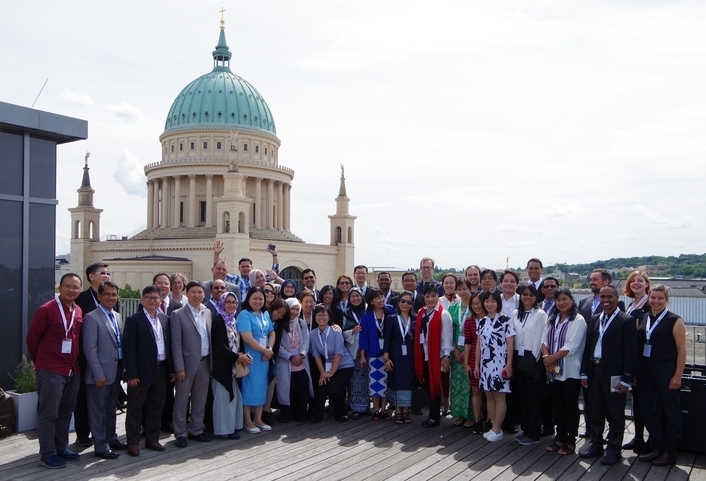 The second TrainIQA workshop of the ASEAN-QA phase III took place in Potsdam, Germany, from 24 July to 1 August 2017. During presentations, working groups, hands-on sessions and a panel discussion, the 32 participants learnt about the evaluation process at universities and about qualitative and quantitative methods. Moreover, they had time to discuss the current state of their individual projects with the other participants and the trainers to learn from each other and improve their plans for the development and implementation of the project. All sessions aimed to cover the different work areas of the participants with rounds of questions after every presentation and many group works that allowed more specialised insights. Additionally, there was a little sightseeing programme to get to know Potsdam and Berlin, for networking and to relax a little bit inbetween the working sessions. The participants will meet again from 24 October to 28 October 2017 in Siem Reap, Cambodia, for the third workshop. The following page provides a documentation and some impressions of the second TrainIQA workshop of the ASEAN-QA phase III in 2017.